A banner design is a form of advertising, whether online, electronic, outdoor, or inside private or public buildings. This type of design uses engaging content and is usually rectangular or square in shape, with an aim to promote a brand’s product or services. Banner designs need to be less disruptive so online users do not veer away from your webpage or ignore it when they see the printed ad. A good banner design is marked with less text, an attractive image, and a specific call to action. 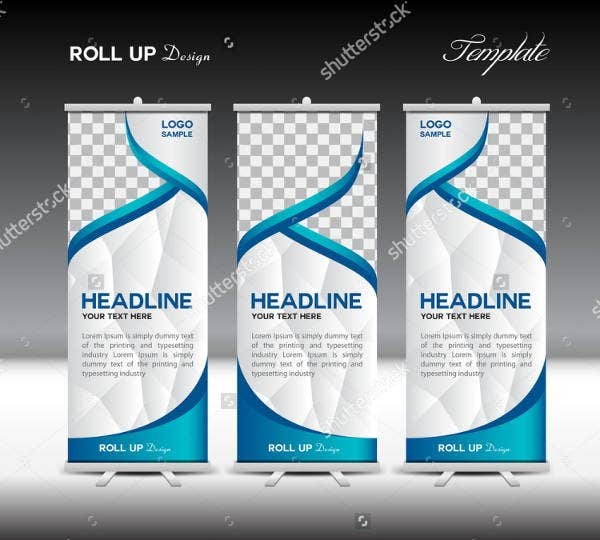 Our printable banner templates will help you get a professional banner design that’ll draw online users to your product or services. 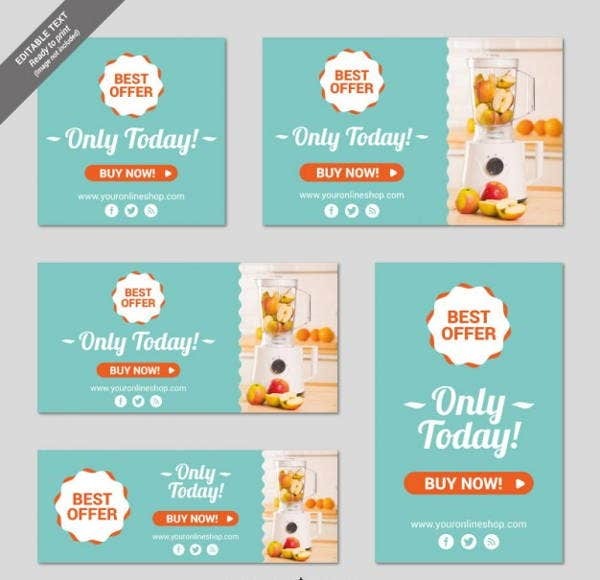 These templates follow standard design rules of banner ads and usually come in different sizes and purposes. Web Banner Design Templates. Promoting your product via online advertising? Get a clean and professional web banner where you can highlight your service or product’s strengths with a promo and a simple call to action button. Social Media Banner Templates. Need an attractive poster ad to place on Facebook, Twitter, or any other social media sites? These colorful and eye-catching promo posters will go well on any social media page and will get you more likes and follows. 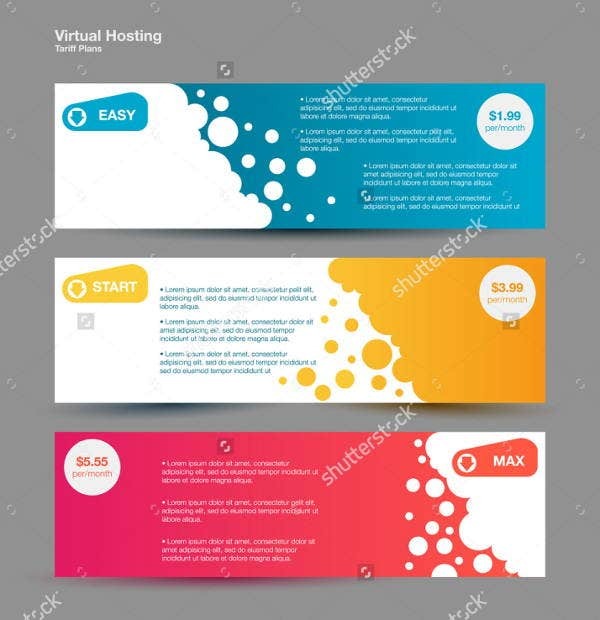 Blue Roll-up banner templates. 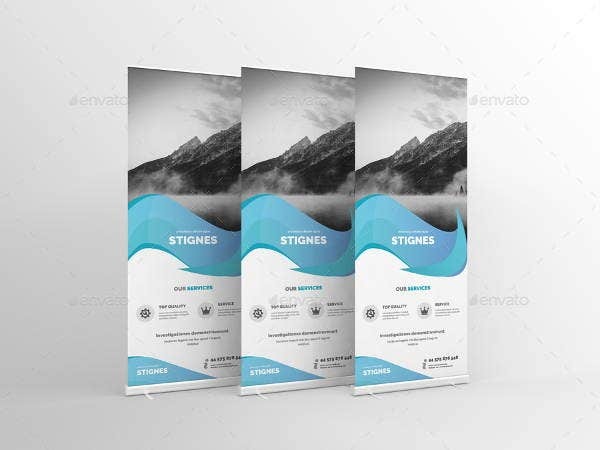 This roll-up banner template is perfect for use as a signage going to your office or a great promotion for your new line of products. More awesome banner designs are available below. 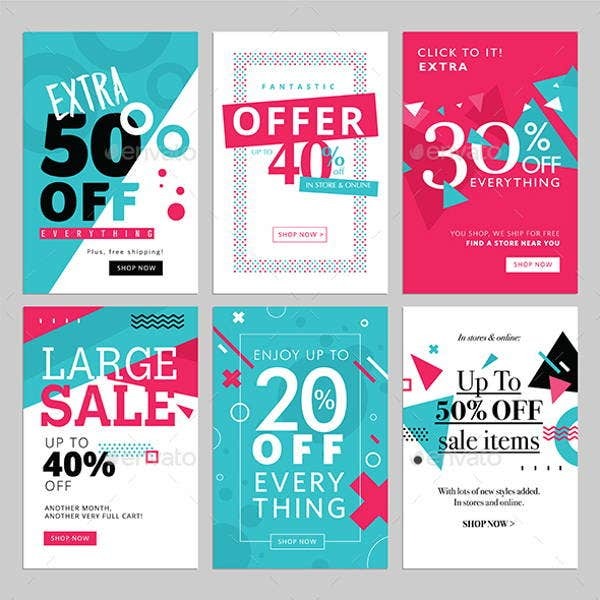 Shopping Banner Design Templates. An irresistible way of luring online shoppers is through this shopping banner design template, which gives shoppers the best offer in just one click of a button. 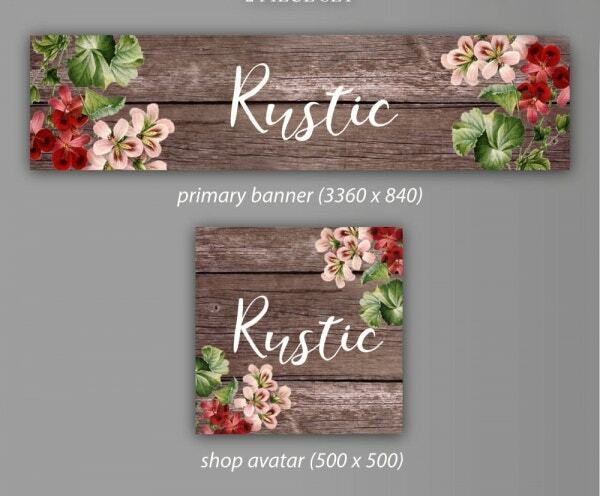 Rustic Floral Banner. Attract wedding planners and bride-to-bes with this elegant, rustic floral banner, which is great for your wedding blog or even as a wedding signage. 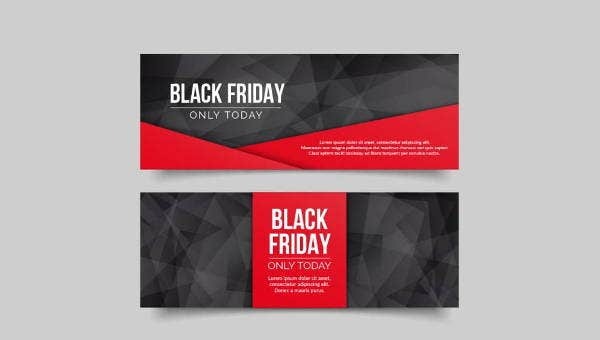 Polygonal Black Friday Banner Design. 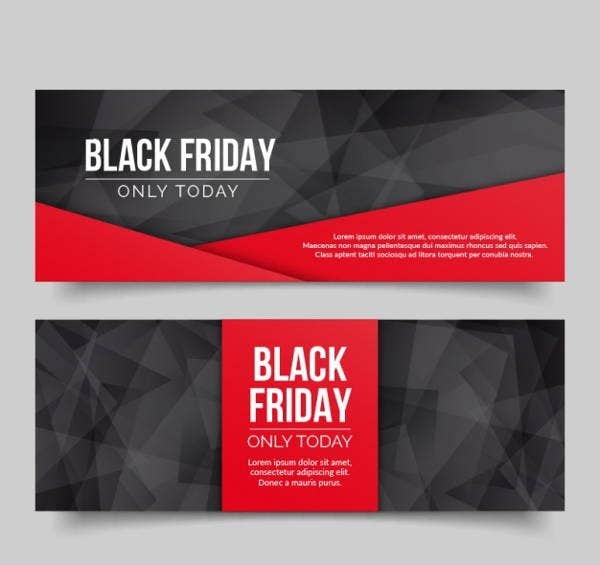 Bring out the holiday cheer with these Black Friday banners in creative polygonal shapes. 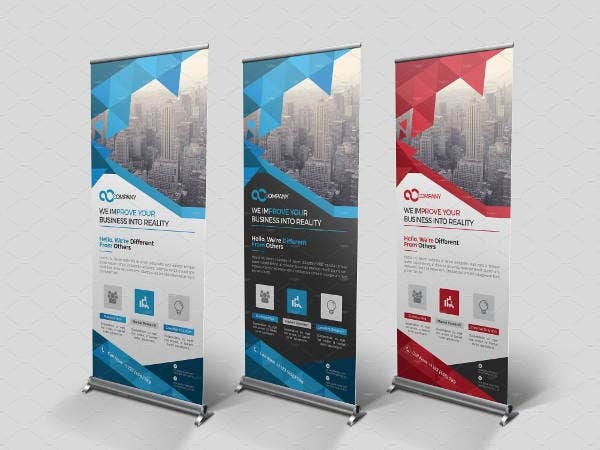 Business Roll-up Banner. Need an official event roll up banner? Get one for your business and attract hundreds of delegates with this roll up banner design. Roll-up Banner Design. Want a highly creative roll up banner design for a graphic design conference? Layout more information on your conference with more space for text with this roll-up banner design. 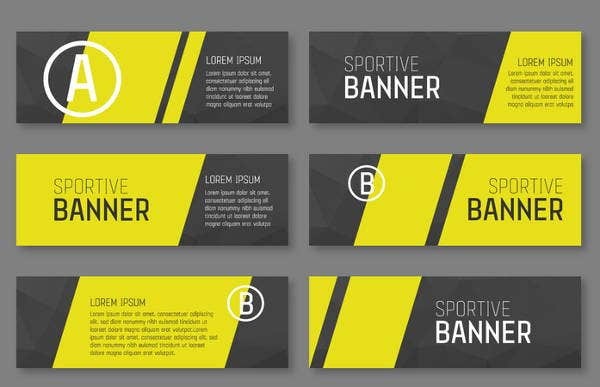 Vector Design Banner Templates. Vector designs are a great way to illustrate lifestyle products. Pick out these templates if you love using vector. These are just a few samples of templates that are widely used by entrepreneurs and other commercial establishments. We also have available birthday banner templates if you want to greet your loved ones and celebrate your life’s best moments rather than use banner designs for your business. Design your banner conveniently with our templates today.